The mattress industry is fierce. Just try searching “mattress” on Google, and you’ll realize you have to scroll to get to a result that’s not an ad. That’s because the mattress industry is worth billions--which means that companies are falling over themselves in attempts to sell to you. While that’s great news for the industry as a whole (more competition means lower prices and better products), it makes things incredibly confusing for the rest of us. What’s the difference between this memory foam mattress and that memory foam mattress? That’s why we’re here! We’ve done our homework on the Leesa Mattress, one of our top mattress company picks, and we’re here with a long list of reasons you need to check one out. Sleep apnea. Insomnia. Night sweats. Back pain. Neck pain. Restless legs. Is your mattress ruining your night’s sleep? You’ll spend as much as a third of your lifetime sleeping, but chances are you haven’t replaced your mattress recently. People who splurge on a nice car, expensive clothes, or a beautiful bedroom set suddenly get cheap when it comes to the mattress. Maybe that’s because nobody sees it (except you), but the truth is that a good night’s sleep changes everything. For starters, an old bed might have tons of dust mites--and you might be allergic to the tiny creatures, even increasing breathing difficulties for asthma sufferers. Plus, tossing and turning at night because your bed is too soft or too hard (or because it sags in the middle or because it’s too hot) can lead to poor performance at work, irritability, increase stress (which can lead to all kinds of health problems), and decreased quality of relationships. One scientific study published in the Journal of Chiropractic Medicine found that simply changing one’s bed could result in less back pain, better sleep quality, and less overall stress. It sounds like it’s time to change that bed of yours! Mattresses have traditionally been considered big-ticket items, and that’s in part because mattress makers have relied on middlemen like Sears and Mattress Firm to hawk their products. The problem with this is that it raises the price for you. That’s why Casper, which launched its online mattress shop in 2014, became an overnight success: by cutting out the middleman, the company created an affordable product. Many companies since then--among them, our girl Leesa--have brought their own unique twist to the online mattress world, making memory foam extremely affordable. The result? Most of these beds cost less than $$$ (the Leesa mattress starts at $$ for a twin!). For the price of one month’s rent (or way less), you could have a brand new mattress--and a whole new lease on life. Excuse the pun, but delivery is a dream, thanks to Leesa. Leesa, like many of the other online mattress retailers, has figured out how to package and deliver its product inside a cardboard box that size of your golf bag. Its mattresses are foam, so by vacuum packing, Leesa can significantly reduce its footprint. Foam is already lightweight, so all Leesa has to do is roll it up and stuff it in a box, and all you have to do is cut the box away, unroll the mattress, and snip away the plastic. The mattress will inflate on its own quickly and be ready to sleep on almost immediately. Plus, shipping is always free--there’s no delivery surcharge to worry about, ever. Please raise your hand if you enjoy shopping at traditional stores for a mattress. No takers? We don’t like mattress shopping either, which is why we love Leesa mattresses. The company has made shopping for a mattress ridiculously simple. There are two simple mattress choices, and the company is transparent: no gimmicks, pushy salespeople, or complicated warranties. You know exactly what’s in your mattress, exactly how much it will cost, and you can compare it to other similar mattresses. Nothing shady, just straight talk, great customer service if you need it, and the ability to simply click and order. Plus, returns are easy...but we’ll talk about that later. Purchasing a mattress before you buy it sounds counter intuitive, but what doesn’t make a whole lot of sense (when you stop and consider) is thinking that laying on a mattress in a showroom for ten minutes will tell you how you’ll feel after a full night on the mattress. That’s why we love Leesa’s 100-night, risk-free trial. 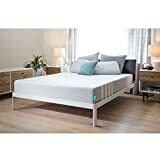 Most sleep experts will tell you to try a bed for at least 30-60 days before you decide whether it’s going to work or not (Leesa’s beds are foam and don’t need to broken in; it’s your body that needs to get used to the more supportive, better-for-it mattress). Some bed-in-a-box companies make you roll your bed back into the box if you decide to return it (good luck with that), but not Leesa; if you don’t like your Leesa mattress, contact the company, and they’ll arrange for pickup and removal. 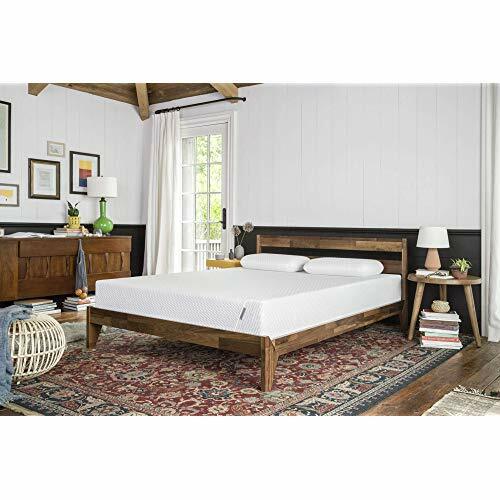 Leesa’s mattresses are memory foam, which is popular because it contours to your body, has terrific motion control (your dog won’t wake you when he climbs into bed with you), and relieves pressure on delicate places like your hips and shoulders. However, memory foam is hot. You tend to sink down into it, which feels nice but can get pretty sweaty pretty quick. Leesa’s designed a brilliant alternative: while the bed’s core is memory foam, it’s placed a two-inch layer of Avena foam with ridges that allow air to circulate. This means you won’t get the claustrophobic feel some memory foam will give you, and you won’t wake up in a puddle at night. You’ll also be able to hop in and out of bed better, as well as move around. The company, we mean. For every bed ordered, Leesa partners with the Arbor Day Foundation to plant a tree. To date, that’s a total of 135,000 trees. Plus, Leesa donates a mattress for every ten it sells--over 23,000 mattresses so far. And the company volunteers in local communities. We love you, Leesa Mattress! We’re normally disinclined to believe reviews on a company’s website--even when the company (Leesa) has over 17,000. Most of them are positive, but we have to wonder, is Leesa screening out the bad ones? So, we visit other review sites, looking for negative trends (does everyone have problems with sagging? Do lots of people report rude customer service?) and what we found was surprising--Leesa’s positive reviews hold steady, even on third-party sites. Made in USA: The Leesa mattress is designed, assembled and manufactured in the USA with high-performance foams. 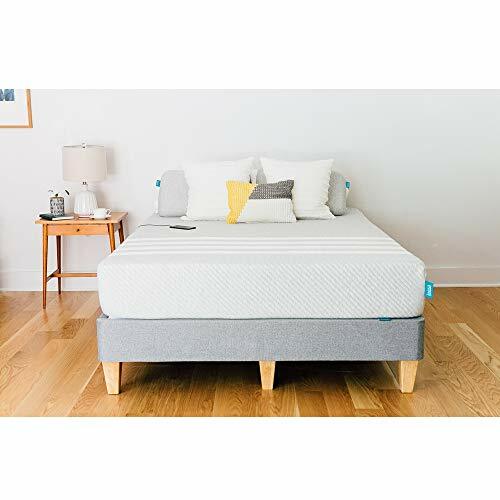 On Amazon, for example, where reviewers are notoriously picky about mattresses, the company has a solid 4.1 stars (out of 5) and well over 500 reviews. People rave about being late to work because they slept so well, being cured of back pain and shoulder pain, and loving the easy delivery and order process. Here’s how the Leesa mattress is designed: we’ve already talked about the wonderful two-inch Avena foam layer, and next is the two-inch memory foam layer that provides the adaptive, contouring feel you used to have to pay a ton of money for. Underneath that is a six-inch layer of dense, supportive foam, creating a medium-firm mattress that most people find extremely comfortable. The whole bed is surrounded by a thick, durable covering that’s also beautiful. So beautiful, in fact, that we’re sorry it has to be covered up. The ten-year warranty means that you can trust your foam to support you and keep you comfortable for the life of the mattress (most Americans change their mattresses every 8-10 years). One last thing we should mention: while some beds are only for, say, back sleepers or side sleepers, the Leesa mattress works beautifully no matter what you preferred sleeping style is. This makes it a great choice for you, even if you like to sleep on your side, back, and stomach every night, but it also means it works well for your partner. The Leesa mattress is an extremely comfortable, highly affordable, easy-to-order, bed-in-a-box from a trusted manufacturer at the top of its game. Every purchase also benefits someone else in need, and there’s a good chance your new Leesa mattress will have you sleeping better than ever before. Enjoy!